Bayelsa first lady Rachael Dickson gave birth to quadruplets in the United States last year November. She gave birth to 1 boy and 3 girls. They were received at the state house by her husband, Seriake Dickson, family members, friends and government officials. 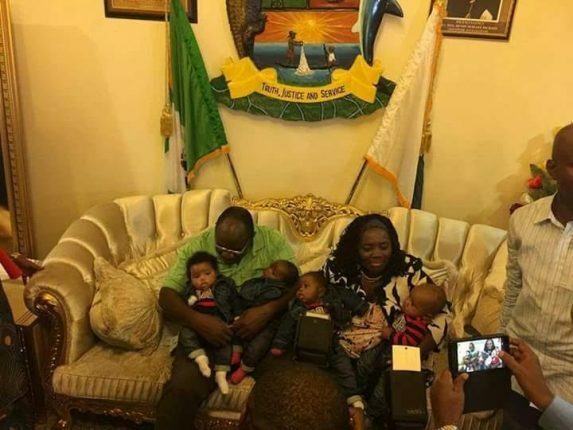 0 Response to " Bayelsa First Lady Returns Home With her Quadruplet"